The DIY'ers guide to fiberglass boat repair - Everything you need to know to make your boat look new again! Congratulations to Steven Ragsdale for winning the 2018 Contest! Learn everything you need to know to repair your fiberglass boat right here! This site is dedicated to providing boat owners with the knowledge to make high-quality cosmetic and structural fiberglass boat repairs. 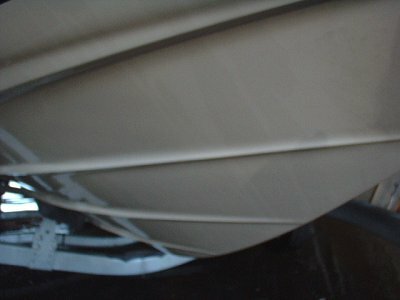 Fiberglass boat repair is easy and inexpensive for the do-it-yourself boater to undertake. Everyone who has enjoyed owning or using a fiberglass boat has eventually been victimized by damage to their prized watercraft. This damage can be simple “trailer rash” like small scratches and dings or major structural problems resulting from impact or core wood rot. 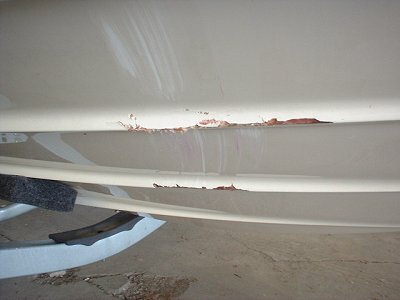 Luckily, fiberglass hulls are EASY to repair to "better-than-new" quality. All that it takes is a little know-how and a little elbow grease! diy-fiberglass-boat-repair.com will show you how!